Some pediatricians in the United States suggest waiting to introduce meat to your baby because of the hormones added to our livestock. Research studies done so far do not provide evidence that hormone residues in meat or dairy products cause any human health effects. Added hormones in meat is considered safe because hormones naturally occur in the animals, and we have been eating these hormones without known effect since our species started eating meat. But, no long term studies of "extra" hormones exist because the practice of adding hormones to meat just started in the 1980s. Fortunately, there are organic meats that do not contain hormones or pesticides, and since your baby is small, we believe that you should consider feeding him organic meat when you find it. Be aware that "all natural" is not the same as "hormone free". As a busy parent, you are going to have to carefully read the label to assess whether or not the meat you are buying contains added hormones. We have also found that most babies generally do not like the texture of meat and reject it. The easiest thing to do is make some for yourself, and give a taste to your baby. Chicken thighs are a good first meat for baby because they have a soft, moist consistency. You will have to do less work making them edible for baby, if you can find skinless, boneless chicken thighs. Sometimes, they can be found in the freezer section of your grocery store. Keep in mind that chicken breast meat is a little dry and tough for baby's new teeth as is steak, pork, and lamb. One of the quickest ways to cook boneless chicken thighs is to broil them. The high heat will seal in the juices, and it will be done before you know it. Put chicken on rimmed baking sheet and broil for 3-4 minutes per side. 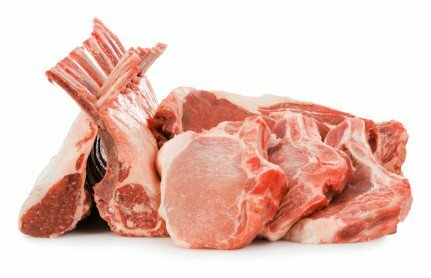 For baby, cut into really small pieces so her little teeth can handle chewing the meat. Fresh chicken should be used as soon as possible after purchase. Look for the frozen thighs if you don't know when you are going to get to cook them. Yes, usually mixed with other foods. Yes. If it is possible to find it. Please see above baby preparation.